I kind of want to eat her up sometimes. 🙂 Appropriate, since I’m devoted to all things food. Nibbling on baby toes must count, right? All joking aside, we are so in love with our little girls. 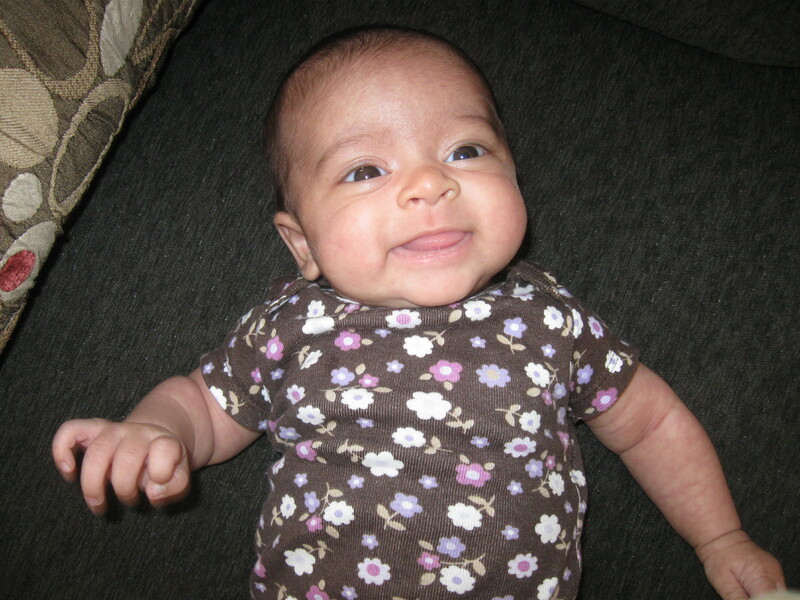 And I am excited to introduce Ela to all the yummy foods of the world as she gets older. I intend to do the same thing I did with Kirina, introducing her to spices and seasonings early on in life. In fact, I’m already doing that now while nursing (did you know breast milk takes on the flavors of your own diet? Pretty neat!). Diversifying your child’s food choices from an early age really works. 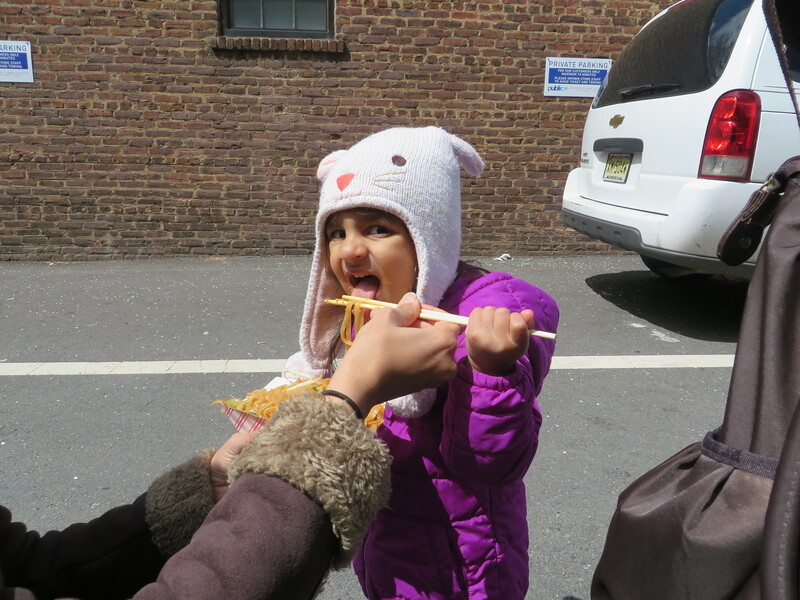 We have proof too…here’s a picture of my Kirina shoveling Pad Thai in her mouth this weekend (I had to help her with the chopsticks. She thinks she can use them, but it sort of ends up in her eye. Not good!). Anyway, I can’t wait for these new culinary adventures with my babies! I have another post related to fenugreek seeds and nursing that I found fascinating…will write more on that later. Ela is awake and my laptop is crying for a charge. From Kirina’s (and Ela’s) highchair to yours, Bon Appetit!